Are Smartphones Selling Short Your Profits? | Douglas Montgomery, Jr.
Is your retail loss prevention strategy as up to date as your inventory, services and marketing? If not, it could be affecting your bottom line. Many companies overlook how newer technologies may impact their loss prevention strategies. Today’s smartphones are a good example. They have emerged as a preferred, and successful, tool of the dishonest. Having a well-defined smartphone policy can help protect your profits. With 30-plus years in retail, I suppose you could say I’ve seen it all. I’ve worked with the owners of various retail businesses – including full-service and quick service restaurants (QSR), convenience stores, specialty retailers and banks – to help improve their operations, profitability, public image and customer retention through the use of video surveillance. I believe loss prevention goes hand-in-hand with operational awareness, and video surveillance is an essential tool for achieving that. I know from experience that it’s well worth the time invested to make sure your loss prevention policies remain current, especially as technology like smartphones become popular and their use continues to evolve. Successful retailers continually tweak their product lines, customer service and advertising strategies to keep up with trends and remain competitive. They are also quick to adopt technological innovations that help them reach customers more effectively or improve operations. But many companies overlook the impact that simple technologies, such as smartphones, may be having on security. Perfect timing for a theft. Using their smartphone, an employee can easily alert criminal partners when the ideal situation exists to commit a robbery. Maybe the manager has just opened the safe to make a night deposit, for example, or has just closed the store or restaurant for the evening. All the employee needs to do is text an outside accomplice to alert them to the ideal opportunity for a robbery. Would you like (free!) fries with that? Another smartphone strategy involves friends or accomplices texting an employee to ask for freebies to be included in their order. This is common in a QSR environment and especially at the drive-thru window. It can snowball into a major problem if the retailer doesn’t act quickly. As one employee continues to get away with it, others will be more likely to adopt a similar practice with their friends. Special orders on the side. Theft can also occur when a cashier doesn’t ring in the order using the main point of sale (POS) register system, but instead uses a smartphone to tally up the cost. This type of theft occurs most often at the end of the night, when an employee is closing down a register and an order can be given verbally to the kitchen. This theft is not detectable using exceptions and transaction-based reporting methods. In this case, managers will need to rely on their video surveillance to prove a crime took place. 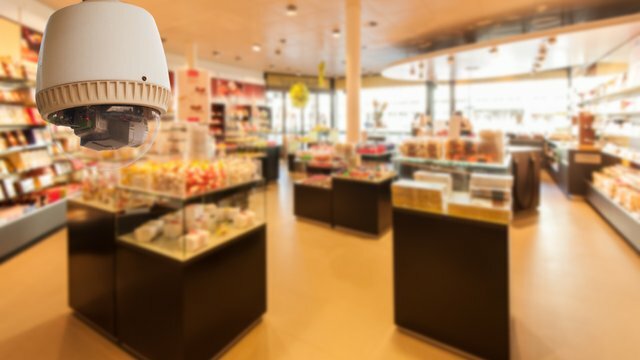 Effective video surveillance helps retailers ensure that their smartphone policy is being followed, so the opportunity to commit these crimes never arises. If a theft does occur, video evidence can help you better understand the circumstances that led to the crime and help you take steps to prevent similar incidents in the future. And of course, the video can also contribute to the evidence necessary to prosecute the perpetrators. From my years in retail, I know that most people are honest. I also know there are many people who will take advantage of weaknesses in security, and I have seen that widely-accessible technologies such as smartphones can help enable criminal activity. You can reduce the risk to your operations by ensuring you are up-to-speed on the latest loss prevention strategies and are adjusting your efforts accordingly. See more examples of smartphone abuse by downloading this Loss Prevention Information Sheet, Ten Ways Smartphones Are Selling Short Your Profits. Doug Montgomery is Manager of Customer ROI at March Networks. For more than 30 years, Doug has worked with a variety of retail clients to help them increase sales and improve operational efficiency. Prior to joining March Networks, he led a consulting business specializing in remote auditing using surveillance cameras to help customers improve LP, operations and business profitability. Perfect timing for a theft. Using their smartphone, an employee can easily alert criminal partners when the ideal situation exists to commit a robbery. Maybe the manager has just opened the safe to make a night deposit, for example, or has just closed the store or restaurant for the evening. All the employee needs to do is text an outside accomplice to alert them to the ideal opportunity for a robbery. Would you like (free!) fries with that? Another smartphone strategy involves friends or accomplices texting an employee to ask for freebies to be included in their order. This is common in a quick service restaurant environment and especially at the drive-thru window. It can snowball into a major problem if the retailer doesn’t act quickly. As one employee continues to get away with it, others will be more likely to adopt a similar practice with their friends. Special orders on the side. Theft can also occur when a cashier doesn’t ring in the order using the main point of sale (POS) register system, but instead uses a smartphone to tally up the cost. This type of theft occurs most often at the end of the night, when an employee is closing down a register and an order can be given verbally to the kitchen. This theft is not detectable using exceptions and transaction-based reporting methods. In this case, managers will need to rely on their video surveillance to prove a crime took place. Out of sight, out of mind. Mobile phones can be used as a container for criminals to hide stolen cash. Bills can be hidden in a slide phone, or even tucked into the back of a phone case serving as a convenient, hidden compartment. Bad math. Another method of fraud involves employees who are under-ringing items and keeping a tally on their phone so they know the exact amount they can pocket at the end of the night. A $3 drink is entered at $1, and the employee steals the difference. The phone is used as a calculator, tallying the fraudulent transactions. Cooking up a little something special. Two or more employees can use texting to secretly communicate with each other and come up with mutually beneficial “deals.” In one case, the waiter and chef were colluding to provide extras to customers, who then tipped generously. The waiter and chef split the profits. Labor drain. 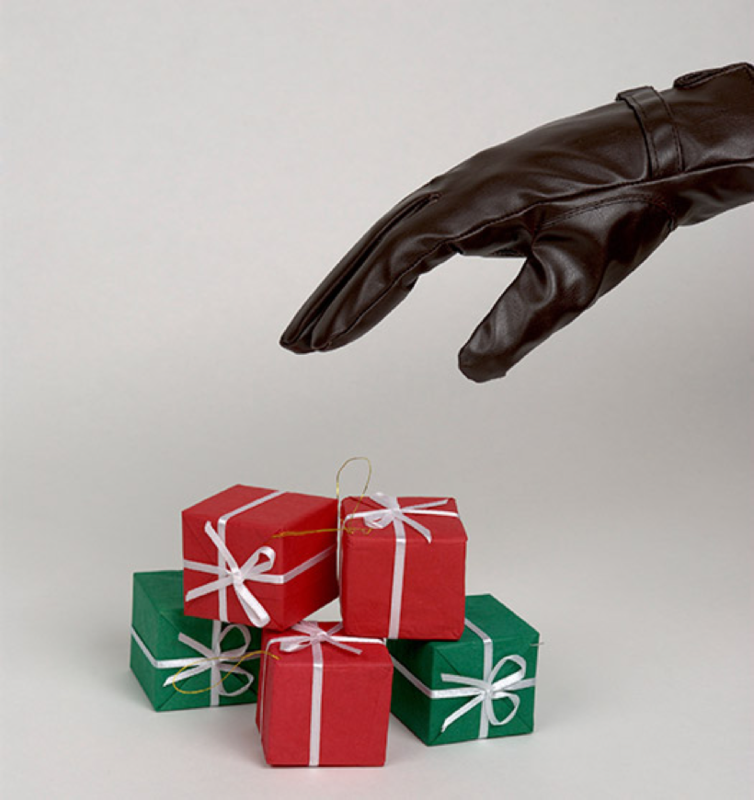 One of the most common ways phones can rob retailers is through employee misuse during working hours or theft of time. Employees who are talking, texting, gaming or surfing the web when they should be working are a drain on their employer’s bottom line. Inappropriate share. The cell phone is a conduit for photos and video — but not everything is appropriate to share at work. If an employee is showing or distributing questionable content in the workplace, this can be considered harassment, which can be a major cost to an employer if it escalates to a labor dispute or lawsuit. Data breach. Many employees have access to confidential company information, such as internal memos, financial records, or even the location of a safe. The cell phone can be used to share this information, and the results can be costly for the employer. High cost of convenience. Mini adaptors that allow smartphones or tablets to process credit card payments can also be used to commit theft. Fraudsters hack the technology so their phone steals data from a credit card’s magnetic strip. In some cases an employee will simply use the phone to snap a picture of the card number and security code to use at a later time.